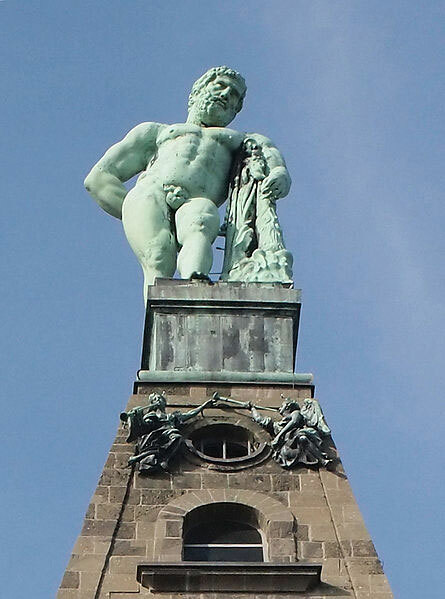 The Hercules monument in Bergpark Wilhelmshöhe in Kassel. At its meeting in the Cambodian capital of Phnom Penh on 23rd June, 2013, UNESCO’s World Heritage Committee decided to inscribe the Bergpark’s Hercules Monument at the top of the palace and water displays on the list of the world’s cultural and natural heritage. The Bergpark Wilhelmshöhe is the 38th World Heritage site in Germany, and part of the universal cultural heritage of mankind. The palace was built in 1786 and houses an important collection of art works. The World Heritage nomination „Water displays and Hercules in Bergpark Wilhelmshöhe“ has been under preparation since 2007. It was developed by a working group including representatives of the Hessian State Ministry for Science and Art, the State Office for the Preservation of Historical Monuments, the Museumslandschaft Hessen Kassel, and the city of Kassel as well as members of the “Bürger für das Welterbe e. V.” society. “The inhabitants of Kassel have always been proud of the Bergpark and its water displays, and the Hercules towering above it all has become the city’s landmark”, said the mayor of Kassel, Bertram Hilgen.